I’m a natural fanatic, my chemical free journey started after an unforgettable visit to Benin (to visit my cousins). I got bitten by sand/sun fly, so I started looking for a miracle cure for horrible scars the bites left, and I came up with my unique mixture of natural ingredients/oils which I call the “OnyinyeOlufunmi cream”. It cleared all my scars! I really wish now that I took a picture when I had those horrible scars because I did get my miracle. That made me realize nature has all we need. So here on this blog, I want you all to share my natural journey, my rantings, my mixtures, art and of course, my little world with you. 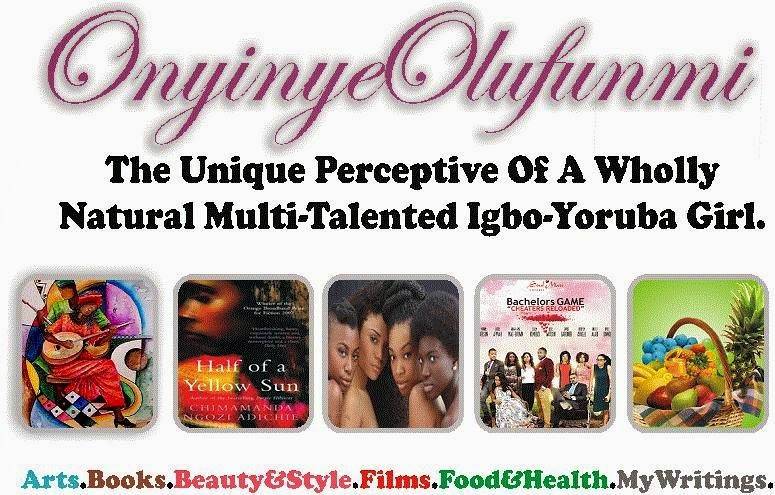 So welcome to OnyinyeOlufunmi’s blog. Next Post Going Wholly Natural. I’m glad to be here, babe. Oh my God! When I was still a rambling teenager.